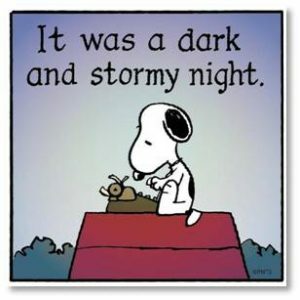 I have decided to put some of my published short stories on the web site for everyone to read. I may even add some of the unpublished ones that are unlikely to find an audience. My stories cover a range of subjects. 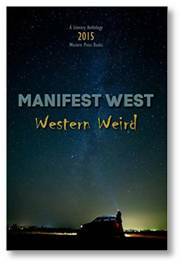 Some are science fiction, some are ghost stories and some are horror. I never thought I would write in the horror genre but sometimes a story just comes along and wants to be written. I have had a lot of fun writing these stories and I hope you enjoy reading them. If so, please Comment. I’d love to know what you think. There’s nothing weighty or fraught or political in these stories–just questions and ideas. And they’re short, so just dig in and have fun. 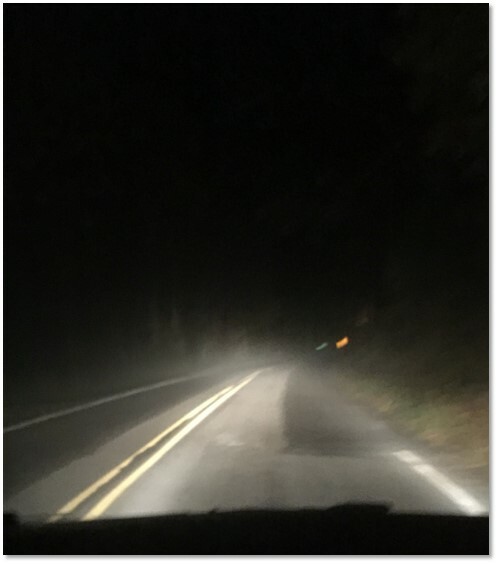 “I was driving fast down the twisty back road, trying to get home before midnight, when the woman ran out of the darkening woods and into my headlights. Abandoning the gridlocked highway, I’d taken an impulsive shortcut onto this narrow road and was driving much faster than its twists and turns would allow. The high beams gave me only a flash impression—an instantaneous image. She was dark-skinned but washed out, like in a black and white photo. Under a mop of wet dreadlocks, her eyes were wide with shock, her mouth open in a scream—or a cry for help. Her white shirt clung to her arms and chest. Staring straight at me, the woman raised both hands to ward off the impact. “I could tell from the sound of her footsteps on the stairs that the Duchess was in a bad way. but slow. She took a while to reach the hotel lobby, and by the time her feet hit the last step, I was in place and ready. Offering the Duchess my arm, I supported her on the short walk to one of the stiff horsehair sofas. Tears streaked her face and she wore an air of resignation, almost defeat, that I had never seen before. The Duchess—Annabella McGarrick by name—was a strong woman and one who handled the rough men and demanding customers of a frontier town with aplomb. This short story is a retelling of an old fairy tale with a very modern twist at the end. 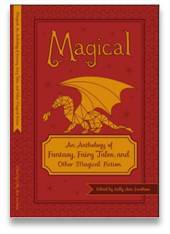 It was published in “Magical: An Anthology of Fantasy, Fairy Tales, and Other Magical Fiction for Adults,” edited by Kelly Ann Jacobson in 2014. “Harno hefted his axe and moved cautiously up the hill as dusk crept through Eythorne Wood. The forest was silent. Creatures that should have been settling with evening twitters and calls were instead hiding from a brilliant light no fire had made. For those of you who read my published short story, “Elf Hill,” but wanted to know what happened next, here’s the rest of the tale. I cut off this part of the story when I submitted “Elf Hill” for publication because I wanted to make it more focused and give it a punchy ending. It worked. But the story did continue and now you can assuage your curiosity.